Industrial Index 25: Of all of the companies listed on the Johannesburg Stock Exchange, the industrials take up the biggest positions and the most space. Every portfolio is likely to include at least one industrial sector company, and for good reason: industrials pay good dividends. People like to invest in the bigger industrial companies, even if the shares can be quite costly. The industrial 25 index includes a list of some of the largest industrial companies currently listed on the JSE and it gives investors a breakdown of everything they need to know in order to make a wise investment choice. Industrial shares are always a safe investment option. It is not unusual for these companies to be listed in the mid to large cap indexes, seeing that they are usually well established and have a history of stable performance and reasonable dividend payouts. When looking for shares for sale, a broker will usually suggest you purchase from the industrial index and even more so from the industrial 25. As a part of the industrial index, the industrial 25 has the same advantages when it comes to investing, your portfolio might benefit a little more by having these high profile names included. Of the top companies listed on the JSE, the industrials fill up many of the top spots. They are known for bringing in huge profits while also being a safe investment option. Because many industrial companies sit in sectors that the country will always rely on, there is little chance that the companies in the industrial 25 will be removed from their positions anytime soon. In fact, if history is anything to go by, these companies might continue to grow, although this is dependent on the economic climate. In order for a company to be included in the industrial 25, they need to meet certain requirements which will result in them being ranked according to their investment market cap. When you are doing your own research into the industrial 25 be sure to take note that there is the JSE Industrial 25 and there is the Satrix Industrial 25. Don’t confuse the two but do have a look at both of them as the Satrix industrial 25 includes many of the biggest names on the JSE. This is why the Satrix Indi can be a really helpful guide when you are making your investment choices, but if you are planning on using the services of a stock broker you will have more resource options and more information at your disposal. The JSE is broken up into 3 main sectors that investors can look at when they are looking to add to their portfolios. The breaking up of these sectors allows the stock exchange to easily group up companies in similar industries, allowing them to compete on an even playing field while also helping investors to find the company that suits their investment requirements. SA Industrial: All of the JSE Listed companies that do not fall into the first two categories. When you are buying shares, especially if you are just starting out, it can be safer to buy from an industry that you are familiar with. This will help you when you want to track the growth of the company you have invested in and it will help with spotting the trends which might appear and benefit you, further down the way. The industrial 25 only differ slightly from the other companies featured in the industrial sector. Basically, if you have a list of 100 companies, the industrial 25 will take up the top 25 positions. This categorisation helps when you are looking to invest in a mega company rather than an up and coming company. To sum up what the industrial 25 index refers these are the top 25 largest companies listed on the JSE. The more important question to ask is, why should you invest in one of these companies? Firstly why should you invest in shares? Over the years many South Africans have made money from the Johannesburg Stock Exchange. Founded in 1887, the JSE has been South Africa’s only stock exchange and as of 2003, it had over 700 companies listed. Companies can list themselves on the JSE, provided they meet a few requirements. Companies entering in the small cap are normally those in need of a capital boost so that they can expand their company and grow. Capital accumulation is one of the biggest reasons why a company will list on the stock exchange while bigger companies have other reasons. However, even bigger companies listed on the stock exchange need to raise money. Well, there are two reasons why you should invest in those companies listed on the JSE, especially those in the industrial 25. When you purchase shares you are helping private companies to grow. When these companies grow, more jobs are created and the economy keeps on moving. But investing in shares is far from a selfless act. Depending on the company you invest in, you could be making more than you initial investment. The index in which you invest your money is likely to give you an indication of whether or not you are going to receive dividends. Companies listed in the resource index often plough their profits straight back into the company, sometimes with no dividends paid to investors. Companies in the industrial sector are however different in this regard as they have fewer overheads and less of a need to buy new equipment. This means that your dividend payouts are higher and you could actually make a reasonable income provided your investment portfolio is correctly structured. If you are not sure if your portfolio is profitably laid out, you can always get in touch with one of our brokers. By knowing which categories you can invest in, you will be in a better position to be able to make better choices with your investments. For instance, you might be already working within the construction industry and thus know some of the biggest companies. Having this knowledge can help with making wiser choices. When it comes to setting up your investment portfolio, variety is key. Any fund manager or stockbroker will tell you that the safest investment choices you can make are those that involve having a diverse portfolio. Don’t invest all of your money in the industrial 25 or even in the industrial sector. And don’t just include companies from the mid and large caps, small cap companies can have great potential and their shares could be worth so much more if you hold onto them. They are the biggest industrial companies on the JSE. As the biggest companies, they are stable and they are already yielding a profit which you could benefit from. Just about all companies listed in the industrial sector are known for paying out dividends. When investing in a bigger company, say one of the top 25, you could be earning far more from your investment. To sum it up, these are reliable companies with reliable dividends, when considering the data and looking back at the history of dividends paid by industrial companies. You have relative protection when investing in these companies. Stability is everything when it comes to investing. While you might have a few shares in your portfolio that could be considered volatile, industrial shares can hardly ever be accused of being such. When you invest in industrial 25 companies, your money can safely grow over time, without worry that the company will fold. That being said, no investment is an absolute guarantee. Sometimes internal fighting within a company can cause shares to become volatile further down the line. Your stock broker will be able to tell you when you stay and when to sell, so listen to their advice and listen to your gut. It’s also a good idea to do your research into the company you are looking to invest in and find out what their long-term growth plans are. You are lessening your investment risks with an industrial investment. 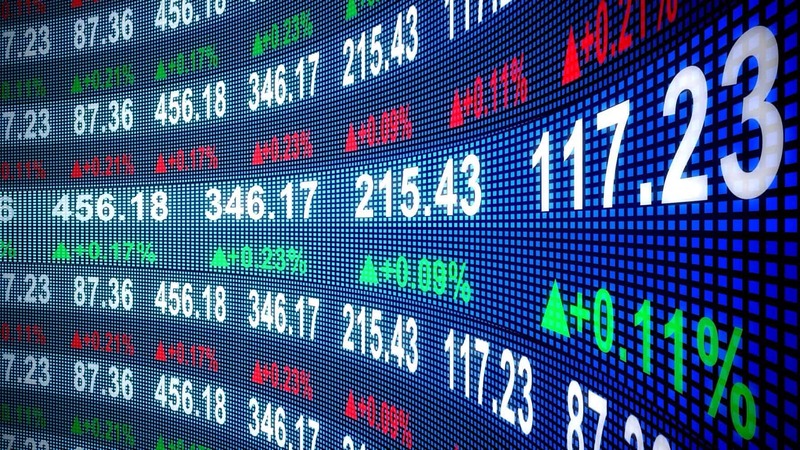 Industrials remain one of the best performing sectors on the JSE and this is a situation that is unlikely to change anytime This is what makes shares in the industrial sector something to consider if your portfolio needs to be balanced between the volatile shares you might have and the stable ones. There are two disadvantages to consider when investing in any industrial company; the economy and the expense. The financial well-being and growth of any company rely on a stable economy, something that South Africa is known for but which lately has seen more than a few hiccups. This shouldn’t discourage you, however, because ups and downs are true of any economy in any country. The second disadvantage is the price of the shares. Because of the reputation of the industrial 25, these shares are snapped up fast and they can be expensive. These aren’t small companies looking to expand into a new field, these are mammoth companies. Your broker will be able to inform you when these shares become available as well as whether or not investing is a good idea, i.e. whether what you pay in will yield a more than decent payout! Entering into the investment world is an exciting thing to do and more so, it can be a journey that is very profitable and rewarding. Some invest in helping companies grow and they make some money in doing so, while others invest because they love the excitement that can only be provided by the stock market. Here are some tips to think about before you invest. Don’t invest without thought, know exactly why you are buying shares. With a clear goal in mind, you will be able to make more informed choices which in turn will help you to clearly define what your risks will be. Know when it is the right time to sell. Holding onto shares when you should actually be selling them could damage your goals and cost you money. Have your long term goals and your short-term. With your long-term goals, you will have more time to plan, and you will see your investment grow knowing that you will have the money down the line. With this kind of investment, volatile shares are not an option. With your short-term goals, you can buy and sell in a shorter period and make your money back when you need it. Remember to always be logical with your investments. Making mistakes is part of investing and although it can play on your emotions when you make a bad decision, you shouldn’t give up. Ready to start investing? We are ready to help you make great choices! Speak to one of our stock brokers today to set up your portfolio. Our team of professionals can also help you if you are already an investor and you are looking for a new investment angle.